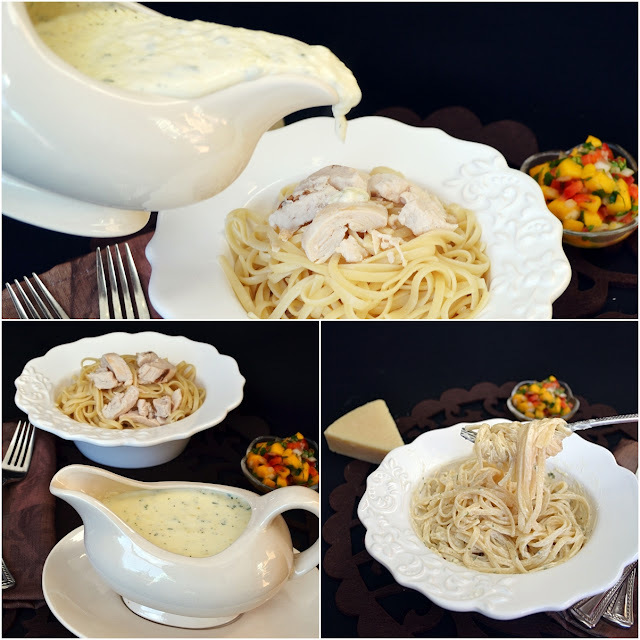 A creamy Alfredo sauce is probably the quickest and easiest pasta sauce to make. Made simply and incredible over so many dishes. 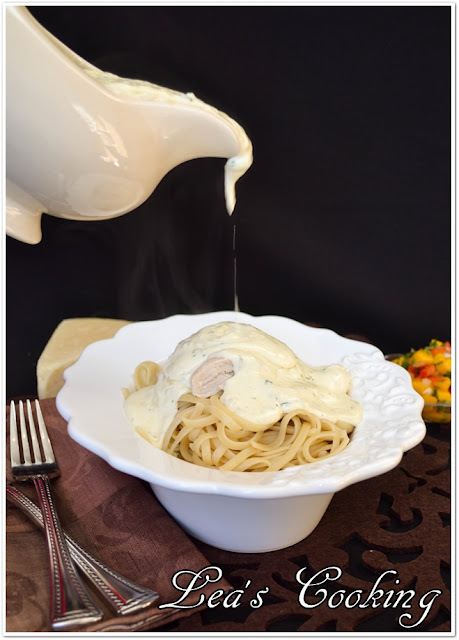 Just a very simple sauce with few ingredients. My family loves this sauce. Melt butter with cream cheese. Whisk it until well combined. Slowly add milk with whipping cream while mixing. Add all the rest of the ingredients. Bring it to a boil cook for 2 min until Parmesan melts. 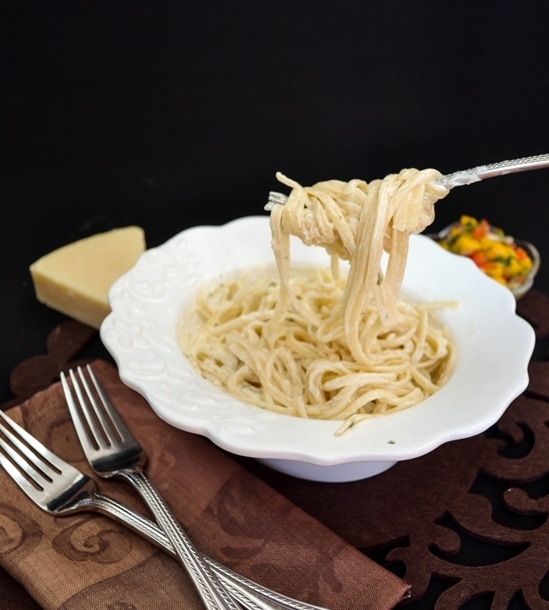 Serve hot with pasta.